Functional running wear is just as important as a pair of suitable running shoes. It doesn't matter whether a leisurely evening excursion or a rugged mountain trail is on your itinerary. With the right functional shirt, runners feel more comfortable during strenuous activities. There are special running shirts for jogging and trail running that have a few aspects to consider. Whether it's hot or cold, ambitious runners hold strong throughout the year. In winter, they put on running gloves if they have to. 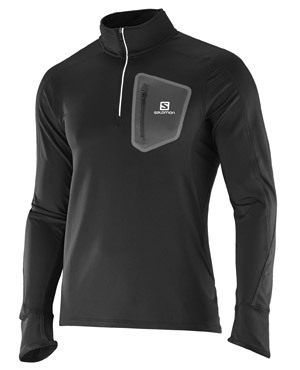 In addition to a running jacket and running pants, they need the right running shirt for any weather. Running shirts are a type of technical functionwear. Accordingly, there are long-sleeve and short-sleeve shirts. In turn, they are designed either as a base layer or as a mid-layer. Function comes to the fore with every model. Breathability and moisture transfer are decisive factors. To stop evaporative cooling from making the body uncomfortably cold, sweat is immediately absorbed and directed away from the body. Specialized manufacturers such as Pearl Izumi and Adidas focus on modern functional materials with compression and a form-fitting cut. The runner stays agile and keeps their skin dry. Most running shirts are made of synthetic fibers. These fibers are lightweight, fast-drying, and have numerous advantages on the trail. The shirt doesn't feel moist and heavy on your skin. Many models from Salomon and Dynafit have ventilation inserts. These provide reliable, cooling air circulation. Most modern fabrics have UV protection. This is important during mountain runs and summer weather. If you want jogging to feel natural, you can't pass up a high-quality Merino shirt from Icebreaker. Special antimicrobial treatments stop sweat-decomposing bacteria from producing unpleasant odors. This keeps your running jersey comfortable. Comfort plays an important role. 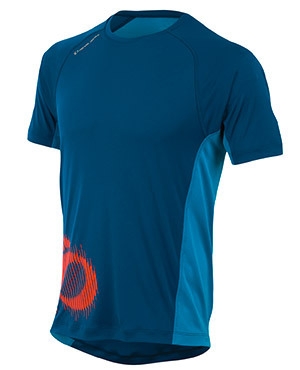 Finally, the shirt can't be restrictive: abrasions are uncomfortable on long trails. Brand manufacturers solve this problem with non-abrasive flat seams and cuts that are optimized for running sports. Through a variety of material compositions — stretch plays a role here — the fit of running shirts is additionally optimized.